Taylor Door Co. guarantees the highest-quality broken garage door repair in Westland, MI. Our goal is to service you when you need us… and get it done right the first time! As a homeowner, you can relate to the inconvenience of a broken garage door. The last thing you want is a car stuck in the garage when you need it most! That’s why Taylor Door leads by example and follows the industry’s best practices when it comes to broken garage door springs in Westland, Michigan. Taylor Door Co. is your No. 1 place for all broken garage door springs and repairs in Westland, Michigan. We offer same-day repairs and services if you call before 11 a.m. Call us today at 1-800-NEW-DOOR. Get the best garage door spring prices in Westland, MI. 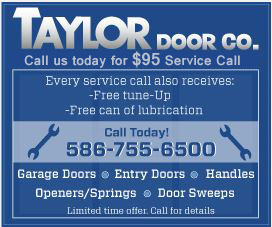 at Taylor Door Co. your go-to spot for all door repairs and services. Get your broken garage door springs fixed right away and call Taylor Door Co. today at 1-800-NEW-DOOR. Taylor Door Co. has more than 30 years of experience in broken garage door repair in Westland MI. Let us be your guide when it comes to fixing all your broken garage door springs and equipment. Never spend more than $300 again on a simple garage door repair. Taylor Door Co. is family owned and operated and prides itself on serving Westland fast and efficiently. 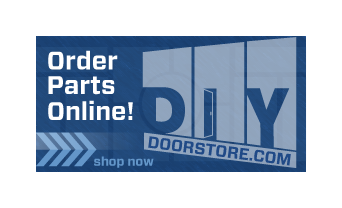 With Taylor Door Co. you are sure to receive top quality products at affordable prices, contact Taylor Door Co. today at 1-800-NEW-DOOR. Call before 11 a.m. for same-day garage repair services!